Joo Jin-mo's lovely fiancee is Doctor Min Hye-yeon was introduced to him via Kim Hyun-wook. Kim Hyun-wook explained he introduced Joo Jin-mo to Min Hye-yeon because he'd been single for so long. 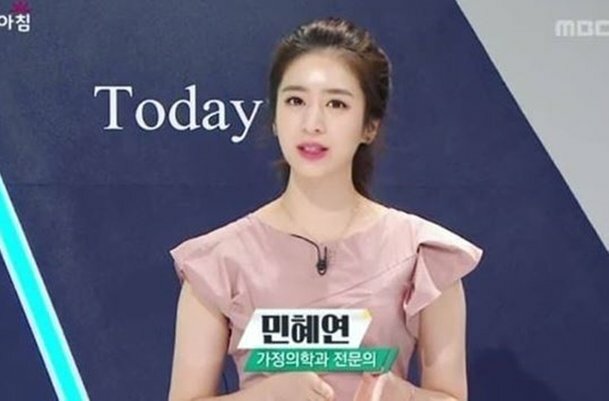 Min Hye-yeon studied Medicine at Seoul National University and starred in various health-related TV shows such as MBC "Good Day", SBS Plus "Women Plus 2", SBS "Good Morning" and more. She stood out for her beauty in those TV shows. Joo and Min recently announced their marriage in June this year. Joo Jin-mo was born on the 26th of September 1974 and debuted in the 1999 movie "Dance Dance". Joo Jin-mo was preparing for bar exams after he served in National Service when he coincidentally introduced to "Dance Dance". He continued onto the film "Happy End" and won the Best Supporting Actor at the Daejong Film Awards. He took on continuous lead roles in "Musa" and "Wanee and Junah", while his lead roles in the 2003 drama "HIT" and 2005 drama "Fashion 70s" made him one of the most represented actors of Korea. The 2008 movie "A Frozen Flower" led to his achievement in Best Actor at the Baeksang Arts Awards that year and he also won the MBC Drama Awards Special Project Categories for Best Male Performance in "Empress Qi". He is currently starring in the Wednesday / Thursday drama "Big Issue". "Joo Jin-mo's Girlfriend Doctor Min Hye-yeon Is a Beauty "